Australian readers may conclude that I'm a day late with my review of Life Choices, the debut LP by Melbourne's Smile. I understand that the release date is August 23, and it is already August 24 in Oz. But it still is the 23rd in sunny Seattle, so I'm good. I think. 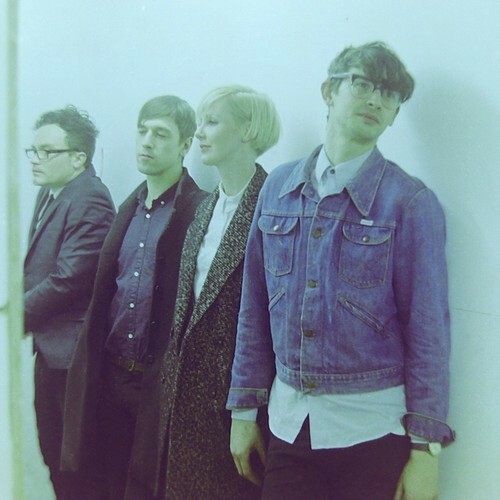 What Life Choices offers is a very chill version of psychedelic pop. Electric guitar lines snake through the melodies and the vocals are soft, often languid. The album is more about atmosphere than hooks, although there are some very nice hooks as well. What sets this album apart from the large volume of slacker pop is the quality of the songwriting and the musicianship. Even the the songs that at first listen seem to be simple and unassuming have multiple layers, satisfying riffs and surprising instrumental sections -- a jazz section here, a tropical section there. And the guitars always sound great. If I may be so bold as to offer a suggestion for your personal evaluation, I recommend listening to the album on Bandcamp with your earphones, and then do it again. From personal experience, this album gets better with every play, and it is worth your time to do so. But hey -- your life, your choices. Sunni Hart / Born Again by SMILE from MAX TURNER on Vimeo. Smile are Pete Baxter, Max Turner, Joshua Delaney, Nick Mulhall and Liam Gough. Life Choices is self-released, and you can buy it via the Bandcamp link below. Dot Dash have found a sweet spot. And with the recent release of Half-Remembered Dream, they have hit that spot squarely three times in two years. With that kind of accuracy we can only hope that they never stop, and never slow down. The bulls eye for this band is a brand of power pop infused with some C86 sweetness and then played by pros who know their way around a punk rock song. So the listener is treated to wistful and introspective lyrics, with plenty of background oohs and aahs, while the guitars jangle, ring, chime and chug and the propulsive rhythm section takes no prisoners and tolerates no foot-dragging. Moreover, Half-Remembered Dream reflects improvements in what was already a winning recipe. First, it seems to me that the vocals are more consistent, confident and emotive. Second, the production seems crisper. Third, to my delight the rhythm section, especially the bass, is high in the mix. This gives the songs an immediacy, forward drive, and depth. This album may be the best combination of melody, volume and pace that you will encounter this year, and it is highly recommended. And because it is my review, I can choose to embed one of my favorites from the album. Dot Dash is Terry Banks (guitar/vocals), Bill Crandall (guitar), Hunter Bennett (bass), and Danny Ingram (drums), and they are based in the Washington, D.C. area. The album was recorded in Baltimore, and is released by Canadian label The Beautiful Music. You can buy the album from the label, or download it from Bandcamp or iTunes/Amazon. Friday Nuggets - "Get Off Of My Cloud"
We are flying out of London today, back home to the US. We can't leave London without honoring the greatest of all London bands, in fact, the greatest of all rock'n'roll bands, The Rolling Stones. Keith's glasses look pretty cool there. The first time I ever saw a live rock band was on a Saturday morning in 1966 on the South Quad of the University of Notre Dame, where a student rock band played on the porch of Sorin Hall. That was a game day tradition in those days that I think should be brought back. I was 10 years old and it left an indelible impression. I still remember that the band was playing "Get Off Of My Cloud". Bloods is a Sydney three-piece playing highly infectious garage pop. 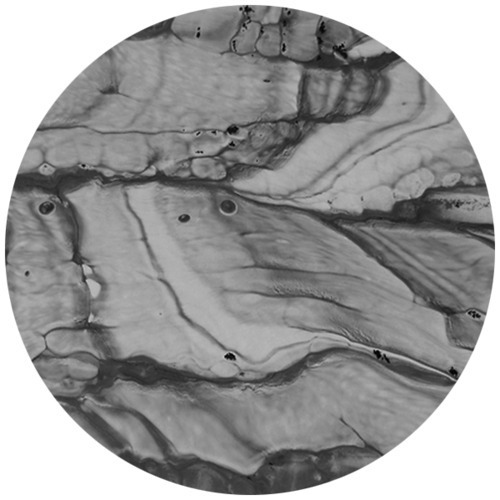 A number of singles are available on their Bandcamp page, some for no charge. But their latest work is Golden Fang, a six-song EP released via Shock. This post isn't a review of the EP, because I don't have it yet. But I have watched the videos for two of the tracks, and if you are fans of energetic garage pop, Golden Fang is a record you are well advised to track down. Is it a girl group transformed into a garage band, a garage band merged with a girl group, or something else? The answer is that it doesn't matter. It is good. The members of Bloods are listed as MC, Sweetie and Dirk. 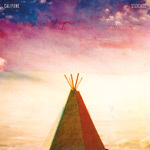 Califone has a new album coming, Stitches, and "haunting" and "beautiful" are the first two adjectives that come to mine. The album is due out September - so we'll post more later. For now, the band is doing its second living room tour, booked with the help of Undertow music. These shows really do take place in living rooms more often than not. They're intimate affairs usually limited to 30-60 people. No tickets are sold at the door, and you have to buy a ticket online in advance to get the address of the show. This is the second such tour that Califone has done. This one is starting out West, working its way east and then back out to Colorado. You can find out more info about the shows and Undertow at this link. NEW SONG: Lizzie and the Yes Men - New Single "Unstoppable" - and free download of Beyonce's "Why Don't You Love Me?" Australian trio Bushwalking continues to set high expectations for their upcoming sophomore album, No Enter, which is out September 6 via Chapter Music. The new single, "High Hogs", is built on an insistent, scuzzy groove and chanting vocals. Delightfully heavy on the bottom end with distorted guitar building the track to a sudden collapse, and an all too quick end. After listening to this track and the title track, which the band shared recently, I'm expecting an exciting album. Bushwalking is Ela Stiles, Nisa Venerosa, and Karl Scullin. "High Hogs" is available from Chapter Music. Another great edition of Reverberation Radio. The list starts with Irma Thomas-- The Soul Queen of New Orleans. We reviewed the reissue of her classic album In Between the Tears here. The rest of the playlist includes 50's rockabilly from one hit wonder Sanford Clark, New York punk protoype and post-punk rocker from David Johansen, and the godfather of modern jangle power pop Alex Chilton. Teen idol era star Dion (also Bruce Springsteen's rock 'n roll hero) turns his hand to 60's folk and it works. My favorite misanthrope Warren Zevon is followed by political empath and angry young popster Kevin Coyne (imagine a Brit Roky Erickson with Grand Funkster Mark Farner's voice). Song for Paula is from a forgotten and under appreciated member of Derek and the dominoes, Rolling Stone session player and blue-eyed soul master Bobby Whitlock. Some critics have dsescribed Layla and Other Assorted Love Songs as more of a Bobby Whitlock album than a Eric Clapton album. The list closes with 60's British invasion blue-eyed soulster Thane Russal, piano session player extraordinaire Nicky Hopkins (Stones, Who, Kinks, Steve Miller Band, Jefferson Airplane) and former folk outsider and current folk discovery Bob Desper. The songs on White Lighter by Portland, Oregon's Typhoon are dramatic, dynamic, multifaceted and almost impossibly affecting. It is folk and pop rock on a grand scale, with strings, distorted guitars, brass, large choruses and a lead vocalist with the kind of voice that would sound emotionally charged reciting a grocery list. There are shifts in volume, texture, tempo and emotion. Sure, you've heard music with similar elements from Beirut, Fanfarlo, Yeasayer, and Neutral Milk Hotel, among others. But with a cast of up to 14 and well crafted introspective and existentially themed songs by frontman Kyle Morton, I would suggest that you haven't heard an entire album of this style of pop that is this complete and compelling. And "Artificial Light" certainly is among the best songs I'll hear this year. Morton's world view and songwriting undoubtedly has been influenced by his brush with death as a child, when Lyme disease caused multiple organ failure and his father donated a kidney to young Kyle to save his life. The songs seem to reflect his efforts to order the world, or take meaning and acceptance from the world as it comes to him. He and his colleagues recorded the album over six weeks while living together on a farm in rural Oregon. White Lighter is out now on Roll Call Records. It is highly recommended. 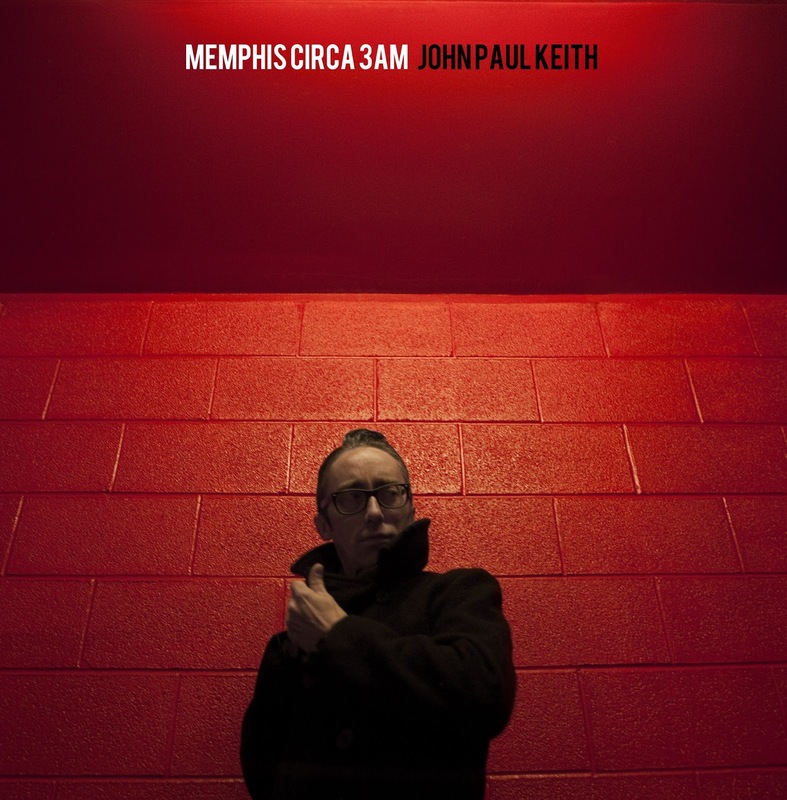 John Paul Keith, a Memphis-based singer-songwriter and guitarist, is about to release his second album, Memphis Circa 3AM. Keith is playing a familiar mix of rock, soul and country influences and is a terrific songwriter. The album is produced by the truly legendary Roland Janes—house guitarist for Sun Records in the 50s and longtime engineer and producer at Sam Phillips Recording Service. “When you think about the sheer scope of the work Roland has done, it is intimidating,” Keith says. “So many of my favorite records he either played on or worked on in some capacity. Working in there, I had to put it out of my mind. You can’t get anything done if you think too much about it. But Roland never brings it up. He immediately makes you feel comfortable. It became clear to me in my first meeting with Roland that he had no interest in doing any sort of nostalgia project. He wants to do something new and fresh and creative. It really helped us work." We'll have more to say - the album is due out September 17 on Big Legal Mess/Fat Possum, but Keith's heading out on tour later this week. Tour dates and more info, including pre-order, at the sites below. From time to time an album comes along that scores high marks on every scale important for guitar pop, and then nonchalantly aces the tests on all the other scales as well. You know, just because it can. Well, Big Heart from Ski Lodge is such an album. Big Heart is the work of Andrew Marr. He wrote all of the songs and played nearly all the instruments on every track. The one exception was "Just to be Like You", which was recorded with the full band. If I were to pretend, mostly for the sake of my own journalistic convenience, that Marr studied other bands and could be said to be of a school, then I would offer Orange Juice and The Smiths. But I don't find those comparisons satisfactory at any real depth. Certainly the jangle is common among those bands, but the guitar pop of Ski Lodge is, to my ears, more polished and disciplined than the Glasgow gods. And it is a damn sight poppier than the melancholy Manchester gang. I think the closest in overall vibe would be the now defunct mid-oughties Austin band Voxtrot, although I think Marr is a more complete songwriter. Of course, the best approach is to take Marr on his own terms. Serious and even sad themes are prevalent, but Marr consciously provides upbeat tunes. An excellent example is the first single, "Just To Be Like You", which deals with a flawed father/son relationship. While joyous pop arrangements predominate, Ski Lodge slows the pace on a few tracks. In particular, the title track is a complex, intriguing song that has grown to be among my favorites on the album. It reveals a side of Marr's songcraft I'd like to see explored in the future. With its bright sounds and energetic pace, this album is perfect for the waning days of summer. But in my view, it would be welcome any time of year. My suggested tracks, in addition to "Just To Be Like You", "Boy" and "Big Heart", are "I Always Thought" (simply perfection, that one) and "I Can't Tell", which sounds like a track from Pet Sounds. Big Heart is out today, August 20, via Brooklyn's Dovecote Records. Motherwell, Scotland's The Just Joans are a witty, artistically adventuresome lot. Their 2012 album, which made my top 50 albums for the year, was comprised of eleven connected coming of age tales. Their new EP, 6.9 Love Songs is designed to be the soundtrack for a fictitious documentary by Scottish filmmaker Bill Forsyth about The Magnetic Fields (who created the excellent, and massive, album 69 Love Songs) stranding frontman Stephen Merritt drunk on the road. Overcome with the spirit of concision, The Just Joans manged to cover their topics in 6.9 songs. And it is excellent summer fare -- love (and non-love) songs delivered with sardonic wit and, in most cases, a light touch. Featuring male and female vocals (the former with a pronounced Scottish accent), brass, strummed guitars and various percussion, the melodies stick with you and it may only take one listen to prompt a sing along (my wife doesn't necessarily consider that a plus if we are in the same room, but she otherwise likes the album). The track listing is as follows: 1. Winter's on its way; 2. Man of your dreams; 3. Kiss and break up; 4. Are you dancin'? ; 5. Some boys are bigger than others; 6. Durex Puppy; and 6.9. Another song about the rain. The first track has a light feel with female vocals. The following "Man of Your Dreams" isn't what it seems, as the narrator states that he isn't the man of your dreams, but is a pain in your arse. The third track turns an old saying on its head by suggesting that you kiss and break up. "Are you dancin'?" is a lovely, melancholy waltz. There are no streams available to embed at this time, but you can listen to track five, "Some Boys Are Bigger Than Others", here. All I'll say about it is that it combines the advice that you'd have more fun if you were single with the refrain that some boys are bigger than others. As for the sixth track, yes indeed, it likely is the only song you'll hear this summer named after a dog created by inflated condoms. The final track is as lovely a song as I've heard this year. Of course, here in Seattle we know rain. The Just Joans are David, Katie, Chris, Allan, Doog, and Fraser. 6.9 Love Songs is out now on WeePOP! 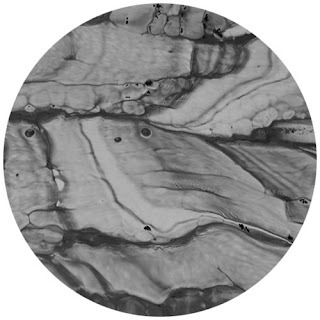 Records in a limited run of 200 CDRs. FKA Twigs is a London artist who has self-released one EP, titled EP1, and will be releasing the four-track EP2 later this year on vinyl and via digital download. She creates intriguing electro-pop, and also makes interesting videos to accompany the music. The second track on the upcoming release is the subject of the video below. She originally performed under the name Twigs, but added "FKA" at the request of another artist using Twigs. In my opinion Surf City isn't really a surf band at this point, but you shouldn't hold that against them. Because what they do play on We Knew It Was Not Going To Be Like This, their new LP, is an exuberant space rock/psychedelic rock version of the guitar pop of The Clean and The Bats, with some The Jesus and Mary Chain noise pop traces. It is all very chill, and boasts good pop sensibilities. For long-time fans of this New Zealand band, the good news is that the songwriting continues to sharpen (especially lyrically), the polish in the studio is more evident, but the enthusiasm and attitude remain. And there are clear examples of the Surf City's willingness to push themselves stylistically. The album begins with the chugging, anthemic "Its A Common Life". If you like this song, and I most certainly do, you will like this album. The band unveils a snaky rhythm for "I Had The Starring Role". While retaining the band's love of a good chorus, the track reveals an ability to strip back the fuzz and tackle more complex pop arrangements. "Songs From A Short-Lived TV Series" and "NYC" seem build on a more motornik foundation with "NYC" in particular giving the bass player a chance to shine while the band explores some Pavement devotion. Space rock takes stage with "Claims of a Galactic Medium", before the band provides their nearest renditions of the famous New Zealand sound with the rousing "No Place to Go" and the sweet "I Want You". Neither were written by a man named Kilgour or Scott, but you couldn't be sure unless you were told. The penultimate track is the intriguing and experimental "Oceanic Graphs of the Wilderness", which opens with nearly two minutes of surging instrumental before distorted vocals drop in. It is an interesting track on its own, but it also promises new explorations for the band's future work. The album closer, "What Gets Me By", is built on a rolling bassline, and features some dub effects and echo vocals. It isn't quite reggae, but it is very, very good in my opinion. Surf City are Davin Stoddard, Jamie Kennedy and Logan Collins, and they are from Auckland. We Knew It Was Not Going To Be Like This is Surf City's third record. It was written and recorded in various spots around the world. Their debut EP was released in 2008, and this album and the preceding Kudos are released by Fire Records. The music of Finnish folk band This Is Really Me is perfect for my Sunday, and it may be for yours as well. The band are Panu Artemjeff, Hitomi Tabuchi, Mikko Hynninen, Petri Nakari, Hannu Linkola andYohei Ono. The label is the Marsu on paras collective. You'll find that the two tracks on this vinyl single are quite dissimilar, but both have their multi-layered charms. Tim Kasher has written and released 12 full-length albums both as a solo artist and with his bands Cursive and The Good Life, and his newest (and second solo) album, Adult Film, will be out Oct. 8. For fans of Cursive, the album is a familiar blend of rock and pop, with some pretty big guitar sounds embellished by keys and horns. Kasher has assembled an impressive group of friends to help: Sara Bertuldo (bass, vocals), Patrick Newbery (organ, keys, synths, horns), and Dylan Ryan (drums) – who backed him while touring around Monogamy – as well as Nate Kinsella (drums; of Make Believe and Birthmark); Laura Stevenson (vocals; of Laura Stevenson and the Cans); Matt Focht (drums; of Head Of Femur); Jenna Morrison (vocals; of Conduits); Laura Carrozza (flute; of Aficionado); and Sarah Holtschlag (saw). Adult Film was mixed by John Congleton (St. Vincent, Wye Oak, Explosions In The Sky) at Elmwood Recording in Dallas, TX. Tour dates and pre-order at Saddle Creek Records.